Instrument Transformer Technologies is Born, only back then it was called ETC. Electroresin Transformer Company. Having seen the demand for well engineered products the founders were soon able to count as their clients the Mining and Municipal sectors. 40+ years later and ITT is still going strong. 1990 saw us gain SABS approval - Since then all the products we've developed and tested have been certified by the SABS. In 1999 the International Electrotechnical Commission(‘IEC’) tested and submitted that ITT products met with their high standards. In 2004, through a Management Buy Out (‘MBO’) the company changed its name to Instrument Transformer Technologies (Pty) Ltd. 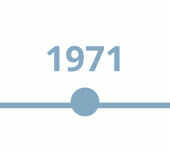 In 2012, ITT restructured itself and became a 100% black owned and managed South African company. Instrument Transformer Technologies (Pty) Ltd (‘ITT”), is a wholly owned proudly South African company. 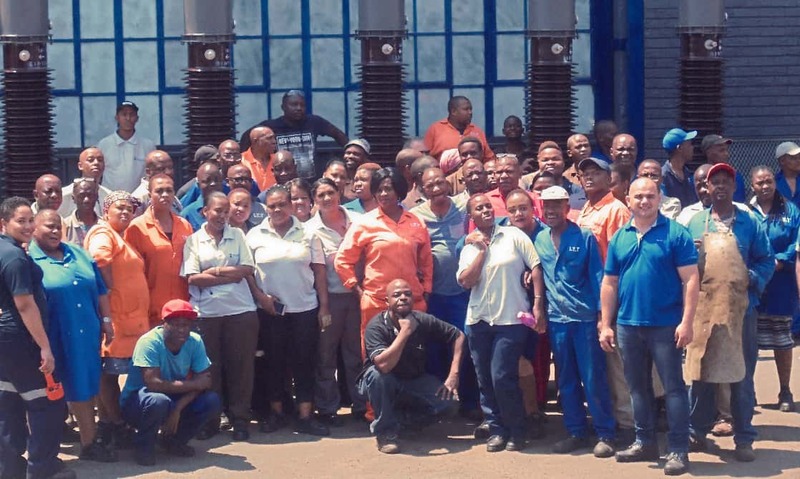 ITT is one of the only two South African and African based companies that manufactures and distributes High Voltage Instrument Transformers and associated equipment to the power utilities, municipalities, mines, railways - the energy sector in general. The humble beginnings of ITT date back to 1971 when it started as Electroresin Transformer Company (‘ETC’) at the time its core focus, was to service mines and municipalities. Over the years ETC developed and tested several types of Instrument transformers all of which have been certified by the SABS and meet the standards as defined by the International Electrotechnical Commission(‘IEC’). In 1999, ETC was sold and the company changed its name to Bri-tech Africa, providing the same service to the same customer base. In 2004, through a management buy-out the company changed its name to Instrument Transformer Technologies (Pty) Ltd. In 2012, ITT restructured itself and became a 100% black owned and managed South Africa company. ITT’s core engineering expertise is world class and it presently holds unique design and manufacturing standards on certain line items, that cannot be replicated by any competitor in the southern hemisphere. ITT’s product and service offering includes the manufacturing of Current and Voltage transformers (from 3.3kV up to 132kV) and Metering Units from 6.6kV- 33kV for both pole mounted as well as ground mounted applications. ITT’s core engineering skills and manufacturing processes, encompasses the design and development, manufacture and fabrication of every aspect of the transformer, so as to ensure it meets the high quality standards demanded by the IEC. ITT is a ISO 9001 certified organisation with a world class Quality Management System producing Superior and SABS approved products across the product range ITT provides a full turnkey solutions to certain customers from design to manufacturing to site installation and repair. The company distributes other product lines include disconnectors, circuit breakers, isolators, live equipment, insulators and transformer accessories. ITT has developed key relationships with international producers of larger transformers so as to broaden its scope of its product offering. Its one of two companies in South Africa and Africa that is capable of manufacturing this type of equipment to the standards of both the IEC (International Electrotechnical Committee based in Geneve, Switzerland) and SANS 9001 ( South African National Standard). ITT operates from a 4500sqm manufacturing plant in Elandsfontein, Germiston. ITT is ISO 9001:2015 certified and has a workshop facility operated by a highly skilled and experienced technical team capable of building Instrument Transformers from basic materials to fully certified, installation ready units to meet the demands of their customers. ITTZA is made up of over 70 committed personnel each bringing with them the experience and skill that allows us to create excellent quality products.